Below are two groups of questions asked most often about Learning Experience Online, the new online classroom at University of Maryland University College. Check get help with Learning Experience Online for further assistance with LEO. 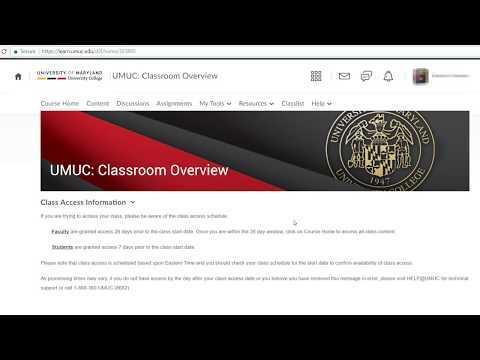 Learning Experience Online is the online classroom at UMUC. It replaced WebTycho, our previous learning management system, which was retired in 2014. Please visit Get Help with Learning Experience Online. The Help Center also contains comprehensive support information. An interactive calendar makes it easy to track assignments, deadlines, and course events. You'll know exactly where you stand in a class with an enhanced progress tool, and audio messaging and other features enable you to easily receive feedback from your instructor and classmates. Yes. You can access the online classroom on your smartphone and tablet. We don't have a UMUC mobile application at this time. You can use the web browser on your mobile device to access the online classroom. The default setting for your calendar is to show events and activities for all of the classes you are taking. You can filter for a particular class by clicking into a detailed calendar view and selecting it from a drop-down menu. Please ensure that your system meets LEO's system requirements and your web browser has Java software and cookies enabled. The online classroom requires both. Also, please install Adobe Flash Player. This plug-in for your web browser will enable you to use audio- and video-recording features in the online classroom. As with any system, there may be outages. We'll notify you several weeks in advance of any scheduled system outage or maintenance to LEO. We'll also notify you if there's an unplanned system outage. In either case, notifications will be posted on the Help Center. LEO also has an alerts feature. We'll post notifications there, too. There is no file size limit for assignment submissions in LEO. If you submit large assignment files (e.g., several GBs) on a slow internet connection, you may encounter a browser timeout issue due to the large file size. This is not related to any restriction imposed by LEO. Answers in this section are linked to the Knowledge Base at the Help Center. How do I access a classroom when presented with an Equella login page? How do I attach a file in discussion forums and topics? How do I view feedback in assignments? How do I upload a file to my locker? How do I change my email address for notifications? How do I reply to a message in discussions? How do I edit a submitted discussion post? How do I submit to an assignment folder? How do I access submitted assignments? How do I see who's online from the class list? How do I access the news tool? How do I read discussion message grid-style? How do I manage chat settings? Can students delete discussion posts, topics, and messages? How do I leave feedback about LEO?